If you're a fan of Twin Peaks, Snoqualmie, WA is a must-visit. Seattle and Portland are what come to mind for a lot of people when they think of the Pacific Northwest. However, the northwestern corner of America, made up of Washington, Oregon, and Idaho, offers so much more than those big cities. There is an abundance of wonderful, wild, and whimsical small towns waiting to be discovered throughout the region. Any Pacific Northwest vacation has to include stops in the spaces between in order to appreciate all of the amazing natural and cultural wonders the area has to offer. Here are eight small towns to consider stopping in for your next trip through Cascadia. About 45 minutes north of Seattle, you’ll find Whidbey Island sitting in the middle of Puget Sound. A car trip from tip to tip, starting at Deception Pass and ending with a ferry ride back to the mainland, is an ideal PNW day. Specifically, however, the seaside town of Langley should be your destination here. This quaint village offers up an idyllic setting with a collection of homey restaurants, local shops, and eye-catching art galleries. There’s also a burgeoning craft beer scene around town worth sampling. If you happen to see a pod of Orcas swim past in Saratoga Passage, make sure to ring the Whale Bell so everyone knows. 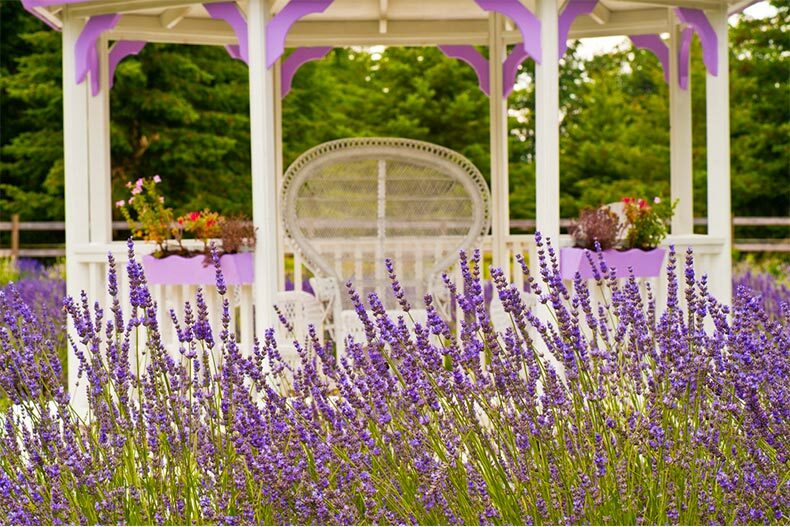 Lavender farms always add to the scenery in Sequim. Just across Puget Sound on the Olympic Peninsula, you’ll find the town of Sequim at the base of the Olympic Mountains. Despite the fact that it’s located in Western Washington, its spot in the rain shadow of the mountains means it usually receives less than 16 inches of rain every year. However, the humid climate makes it an ideal spot for farming and growing, which is how it ended up as Lavender Capital of North America. Fields of purple dot your view as you drive into town and the color enhances the appeal of the downtown area as well, which includes a vibrant arts scene. Sequim is also right next to Dungeness, which any crab lover will recognize, and means there’s plenty of great seafood to be enjoyed here. “Twin Peaks” fans can’t come to the Pacific Northwest and not make a stop in Snoqualmie. 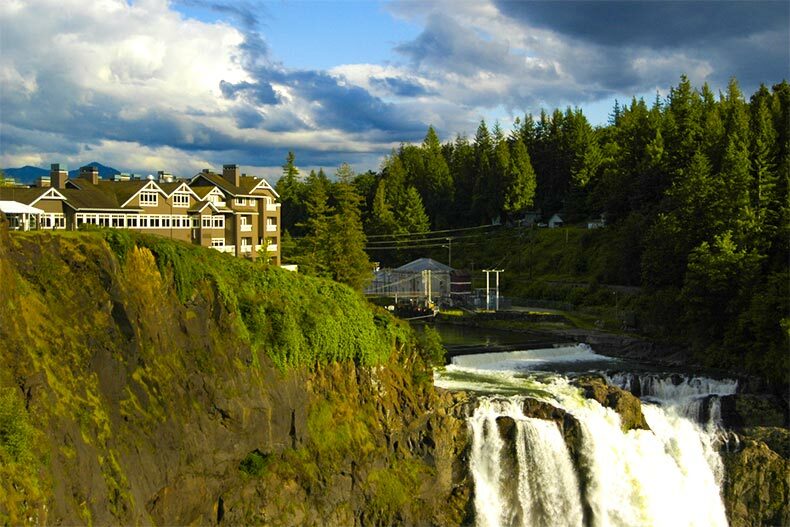 The iconic location of the Great Northern Hotel is actually the Salish Lodge and Spa, which sits just above Snoqualmie Falls. But there’s a lot more going on here than just good Instagram photo ops. The town is also a vibrant and thriving arts community, features many worthwhile museums and festivals, offers plenty of antique shops, and has more than 35 restaurants to choose from. It’s also close to North Bend, where you’ll find a whole lot more “Twin Peaks” locations if you’re a really, really big fan of the show. This one-time logging town in the Cascades was reborn in the 1960s as a Bavarian village. Slap on some lederhosen and stop by anytime throughout the year to enjoy the German cuisine, adorable shops, festivals, breweries and distilleries, outdoor adventures, and museums. However, if you really want the full Leavenworth experience, you need to go in the winter. From Snowfest to Christkindlmarkt to the holiday lights all December long, this tiny town becomes a true winter wonderland for everyone. Theater lovers will want to make a point of visiting this Southern Oregon town, home of the Oregon Shakespeare Festival. Every year they produce eleven plays on three stages between February and October, attracting thousands from around the world. There’s also the Ashland New Plays Festival and Oregon Cabaret Theater, though there is plenty more to Ashland than just performances. Lithia Park and North Mountain Park surround the town, offering up many trails, ponds, and gardens. Or stay downtown and explore the award-winning galleries or exciting culinary scene. The region is also ideal for wine-growing and features many vineyards you’ll just have to sample. Astoria is known for more than just The Goonies. Probably the most well-known reason to visit Astoria is to see the iconic places where “Goonies” was filmed (although some of the locals would prefer if you didn’t). Still, there’s much more to this small town that sits near the mouth of the Columbia River than just filming locations. 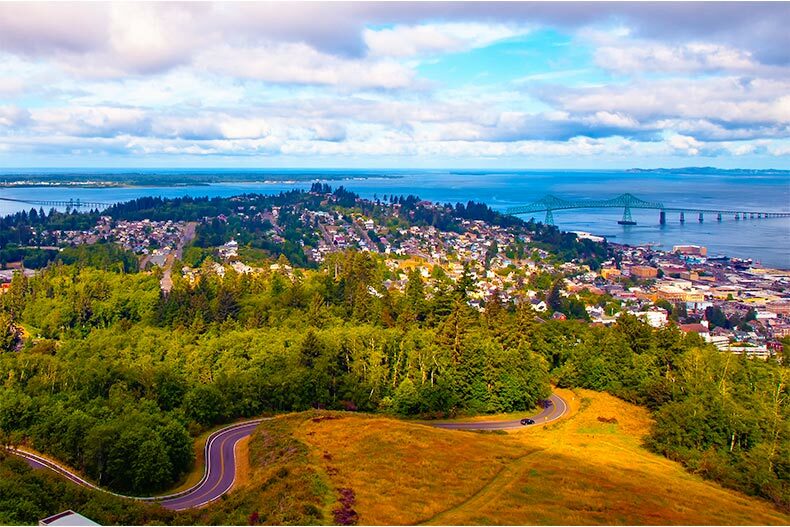 19th-century Victorian homes line the residential streets here while the town is completely surrounded by forests and mountains to complete the Pacific Northwest views. Astoria offers a great blend of outdoor activities, historical monuments, interesting museums, fresh seafood, and cute boutiques. Amongst its many accolades, Cannon Beach has been named “One of the World's 100 Most Beautiful Places” by National Geographic, and it’s not hard to understand why. With miles of sandy beaches, unbeatable Pacific Ocean views, and rock formations like the iconic Haystack Rock, it’s a must-stop for anyone driving through the Pacific Northwest. There are tons of parks and green spaces to spend the day strolling through, while the town itself offers up dozens of opportunities to excite the senses, from art galleries to glassblowing to live theater and more. 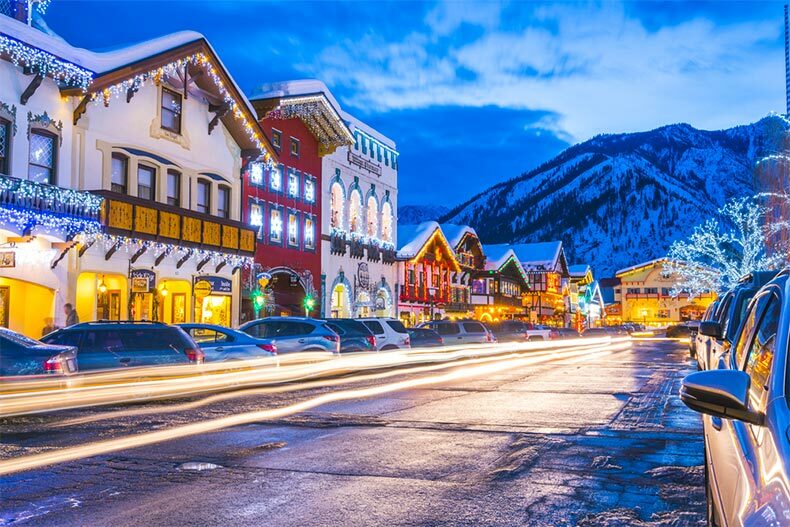 Located in the Wood River Valley, the tiny Idaho town of Ketchum is a great place to spend some time in between skiing sessions on nearby Bald Mountain. This isn’t just a rest stop, however. The main street is lined with noteworthy restaurants serving up local fares such as bison and elk, as well as plenty of boutique shops, art galleries, and fashion stores. Along with skiing, the town is a great jumping off point for fishing, hiking, trail riding, and much more. Consider stopping by in October for the Trailing of the Sheep Festival, which features cooking classes, sheepdog competitions, wool workshops, and a parade of 1,500 sheep down the main street.